Forty eight years on and the scene here is just the same today. Oh maybe not just the same. Most people today are wearing a lot less than these holiday makers. My family spent many a happy day here in the 1950s. It was a regular place for us in the school holidays. I do not think it is there anymore. Happy days. I used to spend many happy hours here at this paddling pool. We lived in Hove at Adelaide Crescent and Mum and me used to walk along and maybe have an ice-cream on the way home from the kiosk opposite Adelaide Crescent on the seafront. Does anyone remember it? 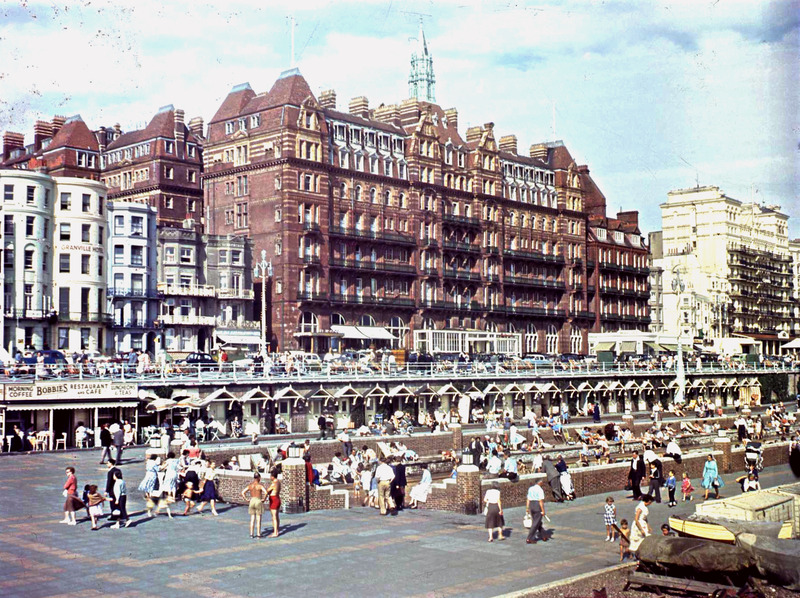 I have not lived in Brighton now for over fifty years but I can remember the paddling pool as if was only yesterday. I think most of the kids in Brighton learned the basic swimming strokes in this pool,i.e the doggy paddle, as we got a bit older it was time to try our hand by jumping off the breakwater that was close to this pool. A new pool has been opened but it does not have the magic of the old pool. Because I don't have a way with words. The Model Railway in Hove Park.